The crop of defensemen on the fantasy waiver wire is pretty barren these days. 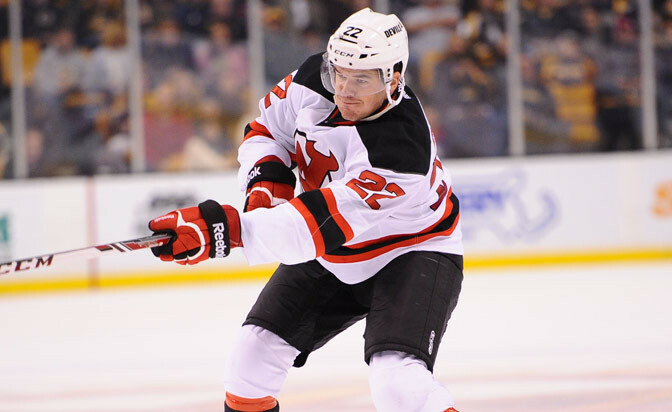 However, if you're searching for an efficient blueliner with a power-play presence, New Jersey Devils defenseman Eric Gelinas is as promising an option as you'll find. And the best part is he remains vastly overlooked in fantasy leagues, owned in only two percent of Yahoo leagues. Gelinas notched his first career multi-point game Wednesday against the Anaheim Ducks in arguably the Devils' most impressive victory of the season. Each of his points came during a power play after Anaheim was whistled for a double-minor high-sticking penalty in the first period. The 22-year-old has now produced at least a point in six of his 12 games this season and has been on the ice for 12 team goals and only four allowed. Most of his damage has come with the man advantage, where his team goal differential is eight power-play goals scored to none allowed. He has accumulated six power-play points already this season, which is tied with Boston Bruins defenseman Torey Krug for the lead among all rookies. And we all know how Krug's ownership has spiked from 15-20 percent to over 70 percent in a matter of weeks. There's just not much available in terms of fantasy defensemen who are producing with the man advantage. Once the injury bug hits home, it's important to act quickly. If Gelinas stays anywhere near his current rate of production, he'll be owned in over a quarter of Yahoo leagues in a matter of weeks. He's seeing nearly three minutes per game in man-up situations (2:57) and trails only veteran defenseman Marek Zidlicky (3:36) among Devils defensemen in that department. He's still only a rookie and will continue to see his share of giveaways as the season goes on, but what we've seen so far indicates he's on the fast track to being a fantasy-relevant player. If you're wondering why most owners have not caught onto Gelinas, it's likely due to the perception that the Devils are not the ideal place to find fantasy assets. New Jersey's goals-per-game average (2.19) ranks 25th in the NHL. While Martin Brodeur is riding a five-game win streak, Cory Schneider (18 goals against in nine games) has gotten unbelievably low goal support (10 goals) this season. But the bottom line is the Devils have been much more competitive when Gelinas records a point (4-0-2), and that's something that can change a negative perception rather quickly if it continues. So whether Gelinas achieves the totals he's on pace for this season (42 points, 24 penalty minutes, 12 power-play goals, 188 shots, 97 hits), he's certainly worth adding on a short-term basis -- especially if one of your fantasy defensemen (Francois Beauchemin, Mike Green, Danny DeKeyser) is dealing with an injury.